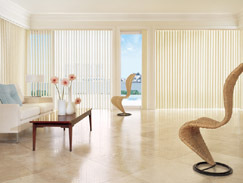 Today's Vertical Blinds elevate vertical blinds to a new level of home fashion. 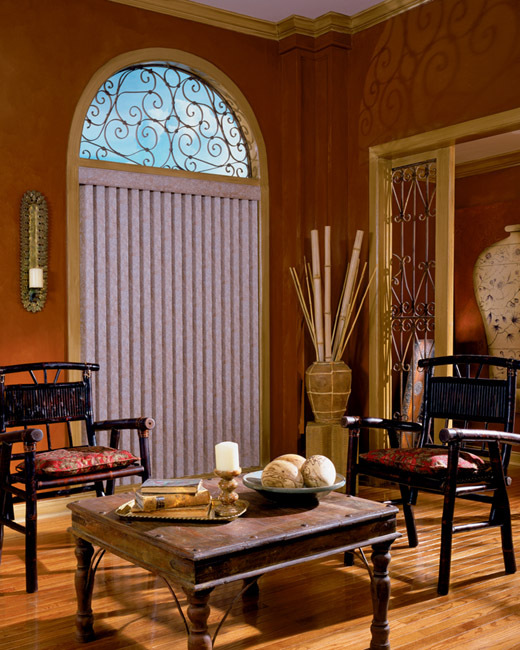 We feature a wide range of vinyl, fabric and aluminum styled Vertical Blinds with colors, textures and patterns to enhance any decor. 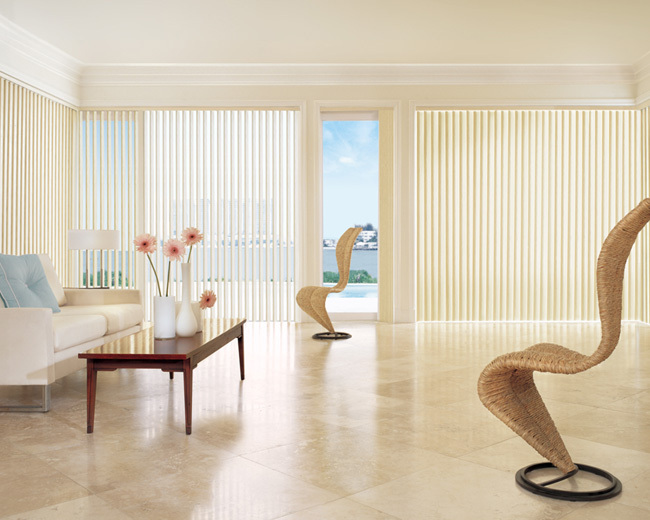 Elegant and sleek, our vertical blinds will command attention in any room, remaining an ideal window treatment option for everything from sliding glass doors to bay windows. 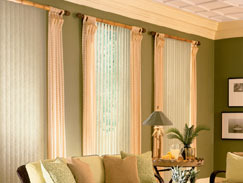 Today's Vertical Blinds, with their versatility, ease of operation and superior light control, remain an ideal window treatment option for everything from sliding glass doors to bay windows. Remote control tilting also available and over 400 selections to choose from in the convenience of your own home! 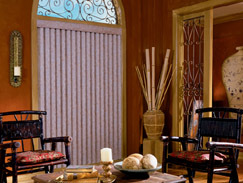 For a complete selection of Vertical Blinds and a free in-home consultation contact the Today's Window Fashions location near you!